After Donald Trump was elected President of the United States there were numerous concerns that the new master of the White House will be inclined toward pro-Russian policy – financial links to Moscow and the Kremlin’s praise to the President Elect were concerning. However D. Trump’s statement and decisions show that Russia celebrated too early and could be greatly disappointed. With his scandalous statements, the US President Elect has been a divisive figure in the United States for over a year and has kept allies confused. D. Trump who is set to be inaugurated on January 20 is accused of ignorance in foreign policy and antagonising America’s closest allies. On the other hand Kremlin propaganda has for a time now trumpeted about a pro-Russian leader of the United States, who Moscow could come to terms with and could expand its interests, perhaps even divvying up spheres of influence, redrawing borders once more. In a Tuesday rally in the state of North Carolina which is part of the President Elect’s sort of thank you tour, a very different image was demonstrated and even a vision for foreign and security policy was presented, one which US allies and rivals should pay rapt attention to. D. Trump’s message to allies – are you with us? 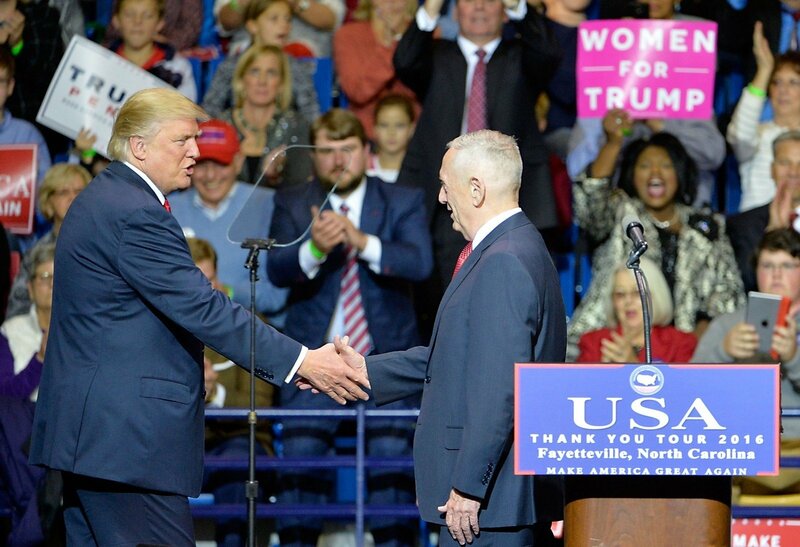 During his appearance in Fayetteville, a town dominated by US marines and Special Forces, Trump dedicated the first 15 minutes to specifically foreign and security policy. “We will use our armed force when it suits the vital interests of the United States,” stressed Trump, promising to strengthen the armed forces of the country more than ever before. Last time such ambitious pledges to expand the military and raise defence funding for the United States were made, it was done at the start of President Ronald Reagan’s term. “During my term we will not hurry to bring down regimes we know nothing about. This cycle of destructive intervention and chaos has to end,” the President Elect added. The most important and most unexpected accent of Donald Trump’s speech was regarding the allies of America – countries which were harshly criticised during campaigning by the Republican candidate for a negligent attitude toward defence and insufficient financing. “Any country which finds out goals acceptable will be our partner in this mission. My administration’s duty will be to ensure the defence of the countries which defend us,” stated Trump. This can be seen a clear signal to US allies, the Baltics among them, that they have to take up a more important role in US-led military initiatives. Officially Lithuania, along with the other Baltic States, has been praised by various US administrations for over a decade for their small, but important contributions in US-led military coalitions. For example Estonia received much praise for its role in Afghanistan when it sent its servicemen into the Kandahar province, held to be a particular hotspot. In Afghanistan Estonia was the country which lost the most troops relative to its population size, fierce fighting took the lives of 9 Estonian servicemen. Furthermore last year Estonia became the first Baltic state to send troops to Iraq to participate in the Operation Inherent Resolve, where the Estonians have been training local security forces to combat the Islamic State. Meanwhile Lithuania has been praised for taking responsibility for leading a Provincial Reconstruction Team and especially for a Special Forces mission in Southern Afghanistan where Lithuanian troops participated in a number of covert ops missions with elite US troops. Lithuania will also be contributing to the training of Iraqi troops, while the US also views the decision to raise defence spending to be a significant signal. Having brought up the rear of NATO for a long time, Lithuania has doubled its defence budget in the past few years. Due to almost 20% annual increases in defence spending, Lithuania has jumped to first place in countries which raised defence funding and is committed to spending at least 2% of its GDP by 2018. Another important accent of Donald Trump’s speech was the formal presentation of the future US Secretary of Defence James Mattis. The former US marine general is known for his moniker of “Mad Dog”, but this nickname earned for ferocity in battle only reflects part of his personality. 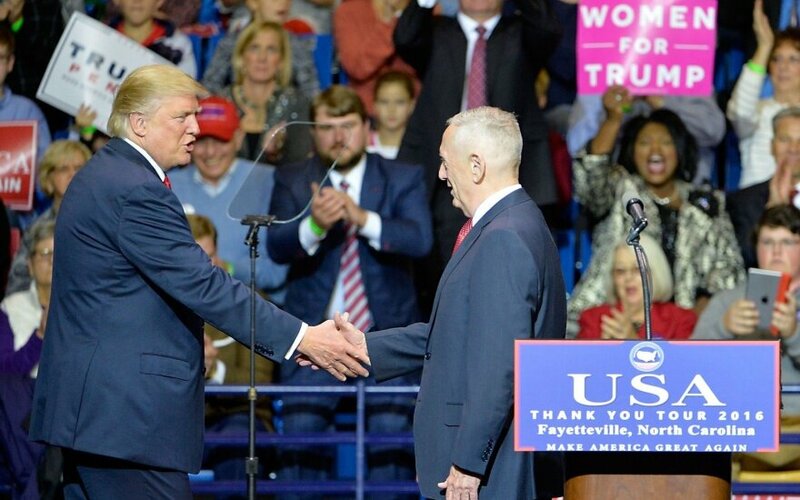 J. Mattis has earned not just the respect of the armed forces, but also that of the often conflicting camps of the Democrats and Republicans. Recently the news media has focused greatly on Mattis’ quotes which can intimidate or anger more sensitive individuals. Particularly lacking context. “It’s fun to shoot some people,” is one of the retired general’s most well-known quotes, having caused a wave of outrage back in 2005. That said J. Mattis had a specific sort of people in mind. Nevertheless, other quotes of his such as “Be polite, be professional, but have a plan to kill everybody you meet,” or “PowerPoint makes us stupid,” reveal not just an aggressive but also a lesser known side of the general which he is primarily valued for. Those who know the marine general assure that he is particularly intellectual, known by another moniker – “Warrior Monk” – for good reason. Having never married J. Mattis has dedicated most of his life to military service, becoming well known during it for being a well-read officer with an interest in military history. He takes at least several books on great military luminaries, past wars and their lessons to each military mission he goes to. For example when one officer complained he has insufficient time for reading, J. Mattis, who has a collection of over 3000 books he has read, answered in a publically cited letter where he demonstrated the importance of military history to young officers. “The problem is that if you are overly occupied to read, then you are learning from your and the other men’s experience, that is the hard way. By reading you learn from their experiences and that is usually a better way of sorting out your affairs, particularly in a line of work where the consequences of incompetence can be fatal for young men,” observed Mattis. An even more important signal is that this intellectual US general does not conceal his sentimental sympathies toward the Baltic States, while conversely he is particularly wary of Russia. Already in 2011, when J. Mattis was Commander of United States Central Command and responsible for American forces in the Middle East, Afghanistan and Pakistan, the general went on a lengthy trip through a number of different states. Among them was Estonia. During the journey Mattis was accompanied by a journalist who gained access under a promise not to publicise anything while Mattis is still in uniform. Now that the general has been retired for three years, The New Yorker released the interviews. “Overall, the Mattis in my notes seemed intently focussed on stability, wary of warfare that sought to promote democracy or idealism, sentimental about the independence of the Baltic States, firmly committed to NATO, and unsentimental about Russia. During our stay in Estonia, he spoke publicly at a think-tank conference and made plain his commitment to the Baltic States’ membership in NATO and the obligation to defend them from Russian aggression. He was particularly emotional about the role Estonian soldiers had played as NATO members in Afghanistan and the sacrifices in lives they had made there,” writes Steve Coll. This memoir from 2011 when Russian aggression appeared hardly imaginable, even after the war in Georgia, shows that already then Mattis had a clear view of Russia as a potential opponent. The same sentiments were expressed by him last year, when he spoke no longer as a serviceman, but as an expert in a conference, where he stressed that the situation with Russia is far more serious than many thought before. “Putin is like a maniac, he goes to bed every night knowing that he can break all the rules, while the West will adhere to them. This discrepancy is a threat to the world, considering how the world is governed. Russia seeks to fracture NATO, so the US must respond, but not entering dialogue with Putin is also very dangerous,” warned Mattis. “I believe there is a chance that Putin will unleash forces which he will no longer be able to control. Much miscalculation can occur. For example the person (Dmitry Kiselyov) who threatened to turn America into radioactive dust during a news show by a national broadcaster was promoted by V. Putin and became the head of their information agency. Overall Russia cannot do anything about its worsening demographic situation. But they do not see anything good in being surrounded by democratic neighbours. They want security which stems from insecurity,” J. Mattis spoke on the Russian regime. It is not concealed that his and Donald Trump’s positions on Russia can differ. While the US president’s word is final, just the fact that Trump chose a man who not only understands the situation clearly, but is also an expert in the area and is unafraid of opposing superiors, shows that Moscow may find the praise levied toward Trump turn bitterly against it. Furthermore in his first speech as candidate for US Secretary of Defence, J. Mattis stressed the importance of US allies for a reason. “Together with our strengthened allies, with our strengthened country, I look forward to becoming a civilian leader after Congress appoints me,” said James Mattis.